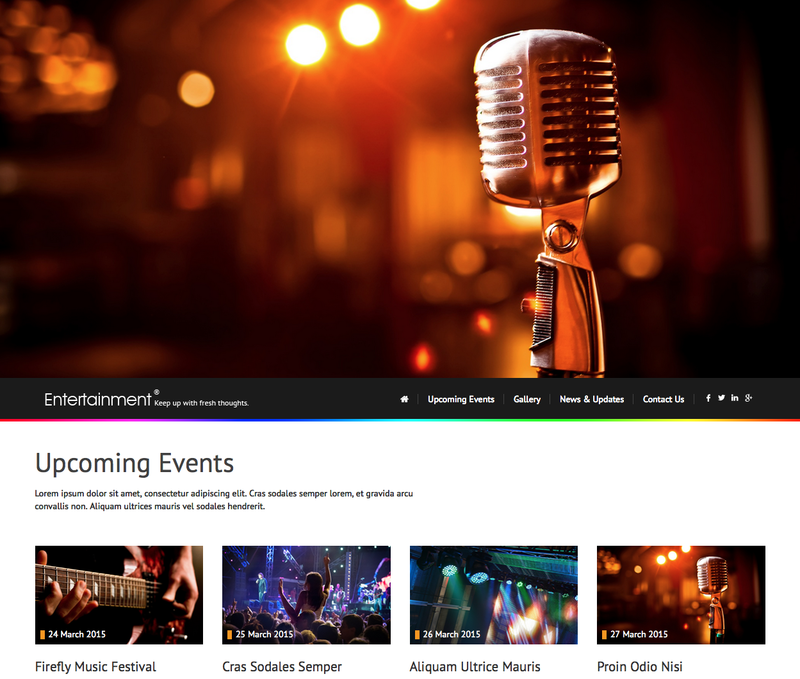 HTML5 entertainment responsive templates. All coded to be compatible with different screen sizes such as mobiles, tablets, laptops and desktops. All pages are compatible with most or all the browsers.